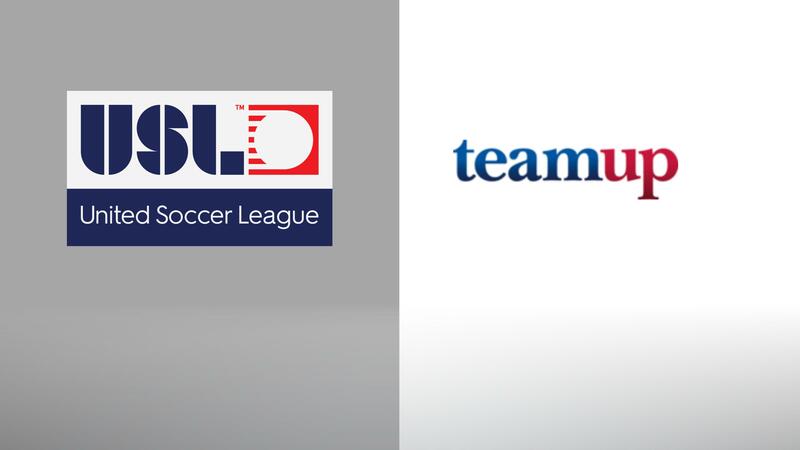 TAMPA, Fla. – The United Soccer League announced today it has entered a partnership with teamup, which will make it a Preferred Branding Agency for all related properties, including the USL Championship – the pinnacle of competition – USL League One, USL League Two (formerly the Premier Development League) and the Super Y League. teamup becomes the latest member of the USL’s Preferred Supplier Program, which has grown rapidly alongside the league to provide high-caliber services to the league and its clubs. teamup unites experts in strategy, design, innovation and experience, working with the most ambitious organizations in sports to harness the power of brand for growth. teamup will be a resource for USL clubs for branding projects ranging from team name and logo creation to developing annual ticket revenue and marketing campaigns. With over 20 years in strategic fan and brand development, teamup is a part of the sports business conversation everywhere. Across the world, its clients are evolving their businesses, placing the fan at the core of all the they do. With offices in London, Boston and Denver, teamup soccer clients include Arsenal FC, Aston Villa, Celtic FC, FIFA, French LFP, Rangers FC, Tottenham Hotspur and West Ham United. "Today, brands are shaped by innumerable people or communities through multiple channels and experiences," Fred Popp, Founder and CEO of teamup consulting. "By engaging them, clients are unlocking a formidable force for growing their brands. When harnessed effectively, communities can be product developers, market makers, problem solvers and content creators. Simply put, building, nurturing and sustaining communities will be the decisive force in brand management moving forward."